BQT’s goal is to build a community and a culture of crypto traders using our platform, helping the community and benefiting from the community. 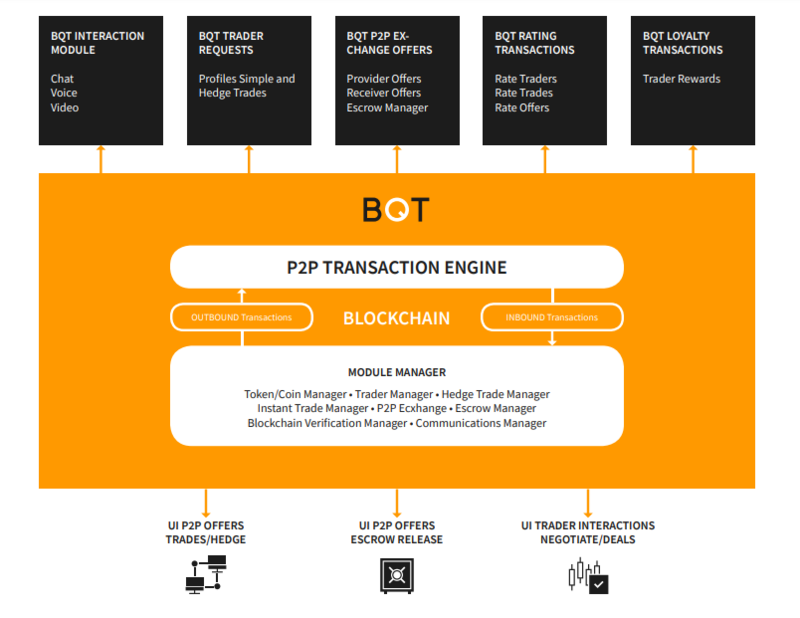 Therefore, BQT provides a secure, interactive and flexible P2P Trading Environment and a user-friendly interface for its community to manage various types of transactions consisting of many cryptoactive assets. The BQT platform allows traders around the world to discuss their deals with Crypto Asset, interacting directly with each other and sharing their experience with the community. To use holdings of various Crypto Assets, BQT introduces the Hedge Trades system. Unlike Margins and Futures Trading, BQT Hedge Trade is a flexible method for traders to acquire crypto-active assets for a short-term period by depositing existing Crypto shares. Trader A (Hedge Receiver) carries a BTC holding and places an offer on the BQT P2P exchange, providing its BTC to BQT Escrow with a 20% premium. He then invites other merchants holding ETH to receive his BTC Escrow as collateral for 30 days, allowing him to use their ETH for that period. Merchant B (hedging provider) may respond to the offer and negotiate conditions by requesting a higher premium and / or shorter period. Trader C (another hedge provider) can also respond, but with a different suggestion, discussing the best conditions for Hedge Receiver. We believe that the demand for the desired acquisition of Crypto assets can be fulfilled with a substantial supply of various Crypto Asset Holdings and agreed directly with Trader Peers. The BQT P2P platform leverages the secure and decentralized benefits of Blockchain, providing flexible functionality for traders around the world. Each module and database are programmed using different encryption methods and provide privacy and protection for Traders. The 2FA configuration is a necessary setting for each trader profile. 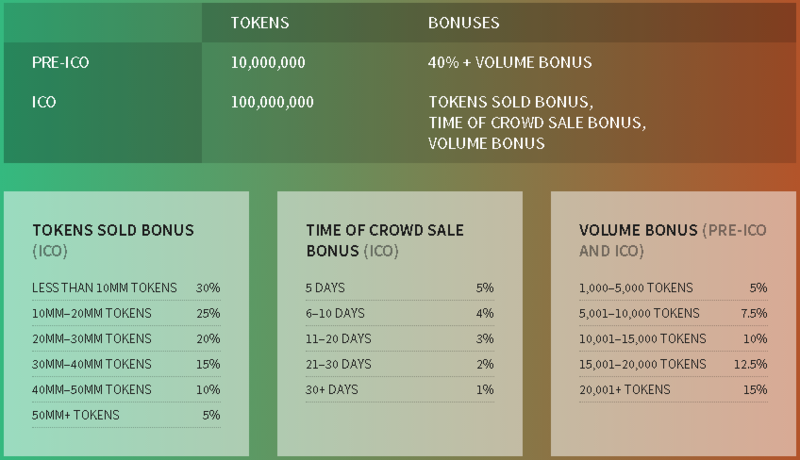 600,000,000 tokens will be frozen and will be released only as needed to expand the company, marketing programs and loyalty to maintain the liquidity of tokens (up to 10% per year).